Both these articles are good starting points to think about the challenges of building a Crowd Funding Platform. Antone goes on to say that this whole Crowd Funding thing is going to end in a disaster and Bill is a little bit more balanced in his critique. I think both of them have valid points to make. Antone, actually starts with defining what he construes as the Crowd Funding a.k.a Crowd Investing platform, the definition is as he describes it is very similar to the ones in the IPO documentation definition of a company going public. 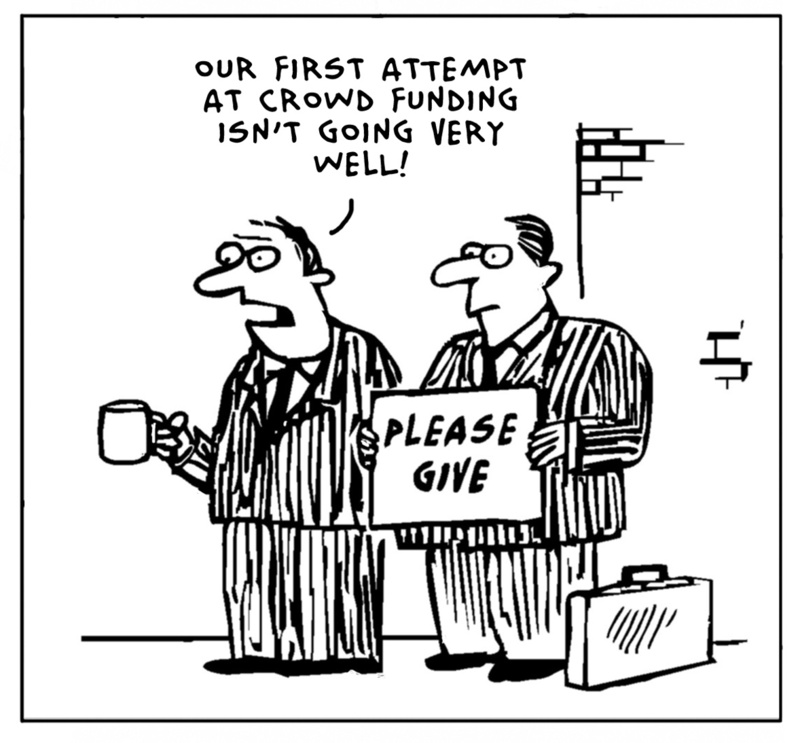 So, what are the main challenges in building a Crowd Funding Platform? I will go into the details of each one of the below. Radical Information Asymmetry: The Securities and Exchanges Commission (SEC) in the US or in any other country basically have a number of requirements that protect the small investor, i.e defining all the Risk factors, ensuring that companies wanting to raise money from the public are not fraudsters (the perception is that but there have been exceptions and I have always wondered how do they ensure that?) etc. The most important of all these requirements is that the Founders/Company Managers have more information about the company than the general public so they could potentially “hide” the detrimental information from the investor thereby “cheating” money away from the investor. On a theoretical level I agree with this information asymmetry, but practically I don’t think this is a problem because companies in their early stage don’t have any complications in their accounting or operational procedures, so it should be simple enough to basically share all the information that the company has and most early stage companies usually do. So basically if you are not rich or work for a Financial Institution you cannot be an investor! what a bunch of baloney! It really makes me mad they actually put Banks and Financial Institutions above Individual Investors. I have worked in a Bank and I know many of the people who make the investment decisions, I think an Entrepreneur would be more careful and weigh the options better than what I have seen done. So I don’t buy this argument. I also think there is too much emphasis given to “protecting” the small investor, I am not so sure that is such a problem. I also do not believe a person working in a financial institution has better understanding of Risk than a person who has nothing to do with finance. I am big fan of Nassim Taleb and Daniel Kahneman. Go and read their books if you really want to understand how we as humans just don’t have a good grasp of probability which in Financial jargon is Risk. Cost of Transparency and Accountability for smaller companies will be prohibitively high that would prevent them from actually going through the exercise of full disclosure. I think the above 3 major hurdles are the biggest opportunities for a Crowd Funding Platform. I believe we can solve these above challenges, I believe too long we have waited to be told that you cannot do something because it is not good for you. I say lets jump into the pit and wrestle with the beast, no I do not mean your lawyer! I am going to devote time, effort and money to solve the above problems because I think there is a huge global opportunity. To start with I am committing to work with a team in Iceland… they have good ideas and are thinking about the right things but they need to solve the above problems before they can be a platform. Check them out Karolina Fund, the Star of the Crowd Funding movement ProFounder.com just shut shop and the reason they gave was the regulatory environment is not conducive for Crowd Funding Platforms, something to think about. ← What if it fails?